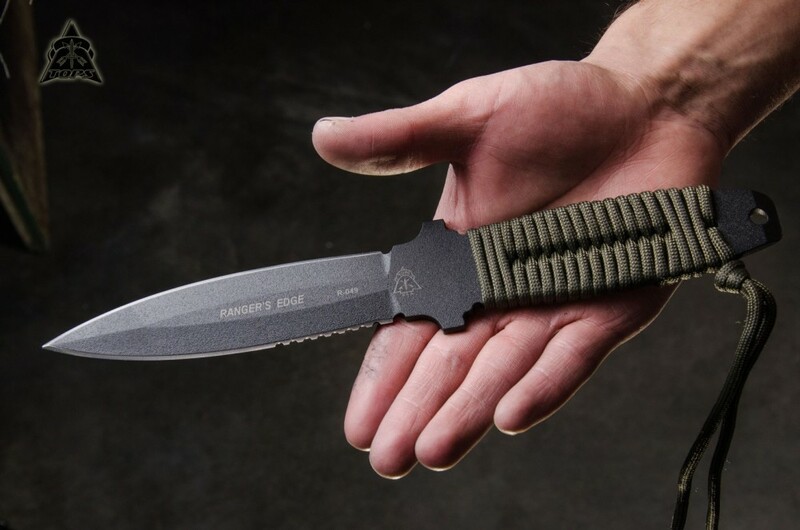 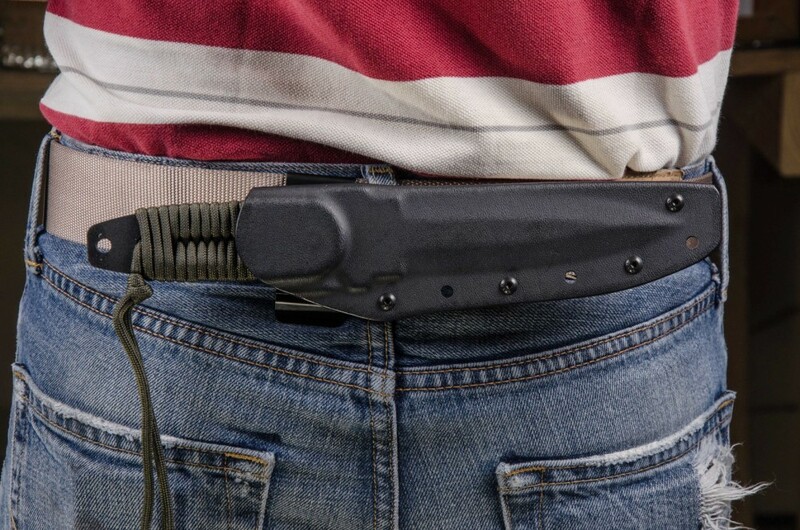 The Ranger's Edge with paracord wrap is a great tactical weapon. 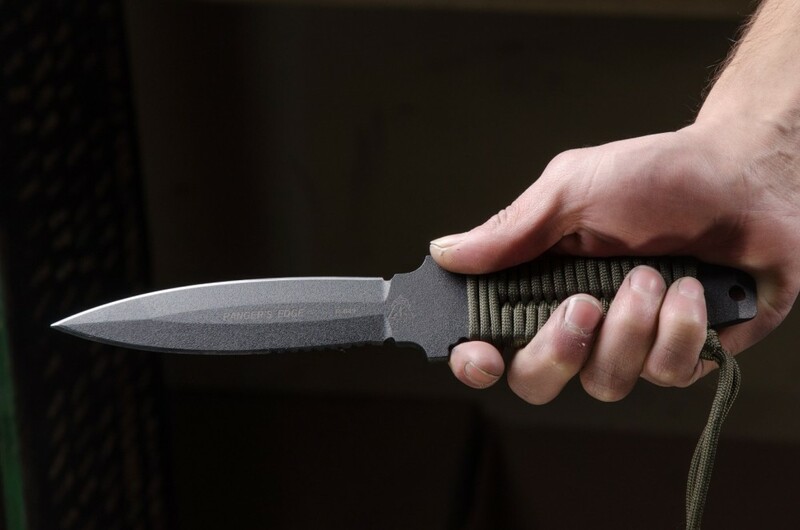 "MSG Kim Breed 5th Special Forces RET., is a notable knife maker as well as an authority on Blades. 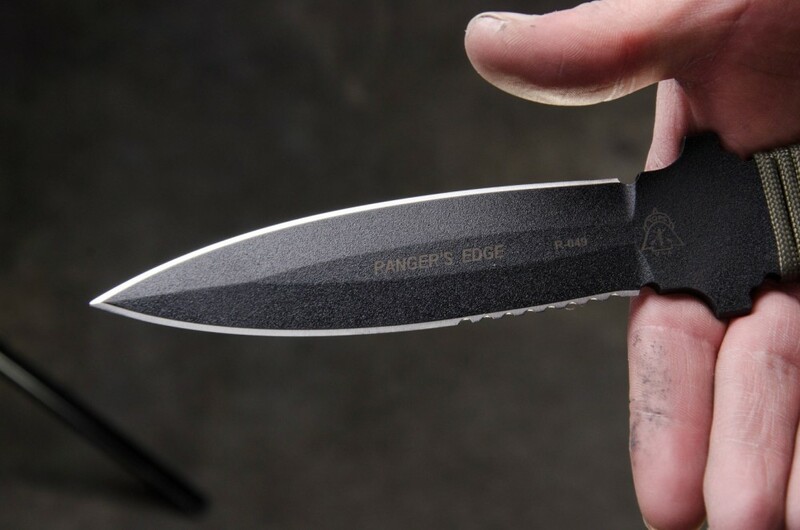 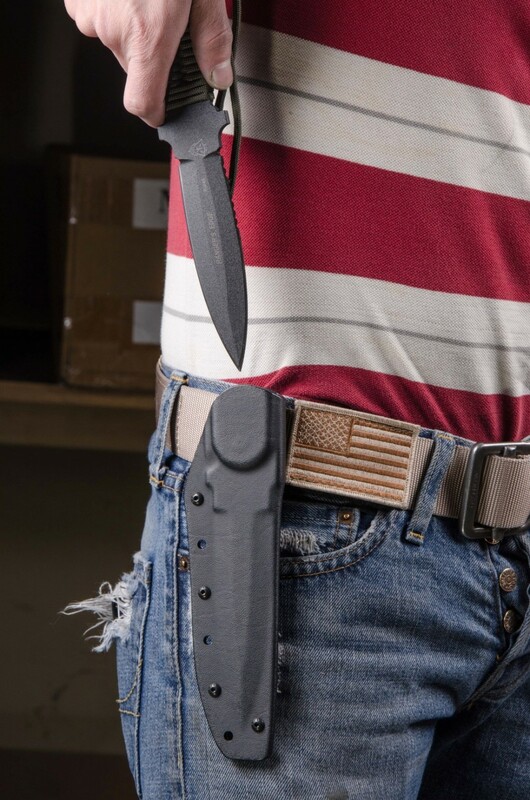 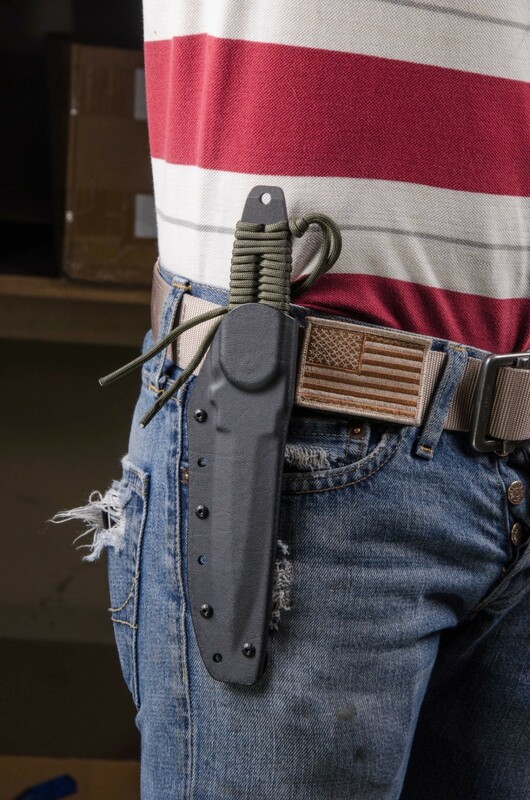 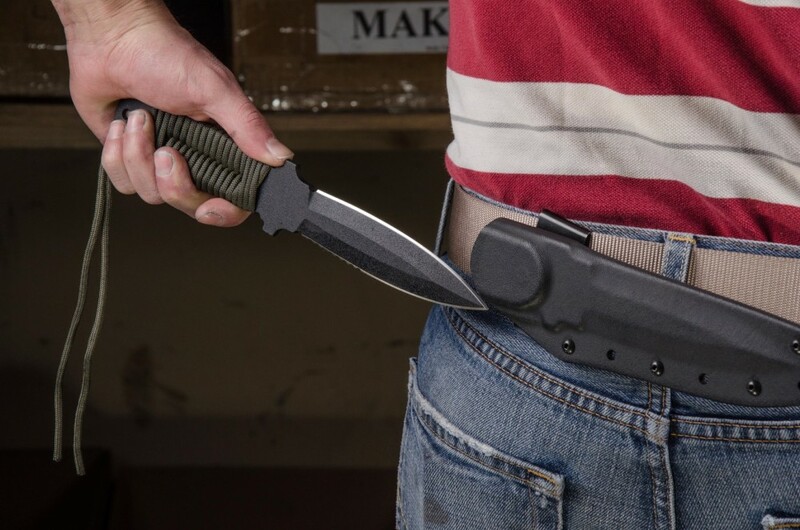 In an article appearing in Blade Magazine March 2002, about "Knives At War - Blades In Afghanistan" he wrote: "Pieces such as the Ranger's Edge from TOPS Knives are among those being taken to Afghanistan by the author's buddies from the 5th Special Forces." 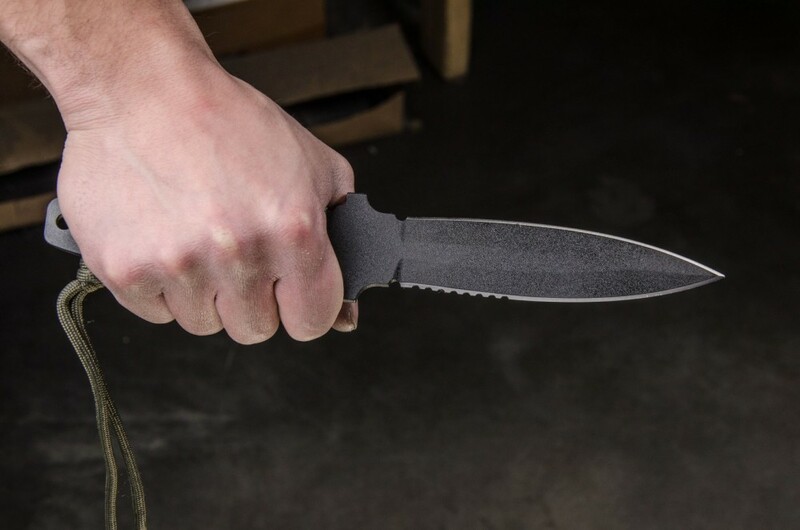 This is a double edged fine crafted tool with an outstanding pry tip extending from the handle, helping you to avoid prying with the point of the knife. 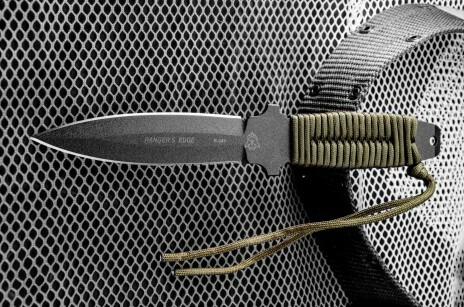 A definite "will carry" in harms way." 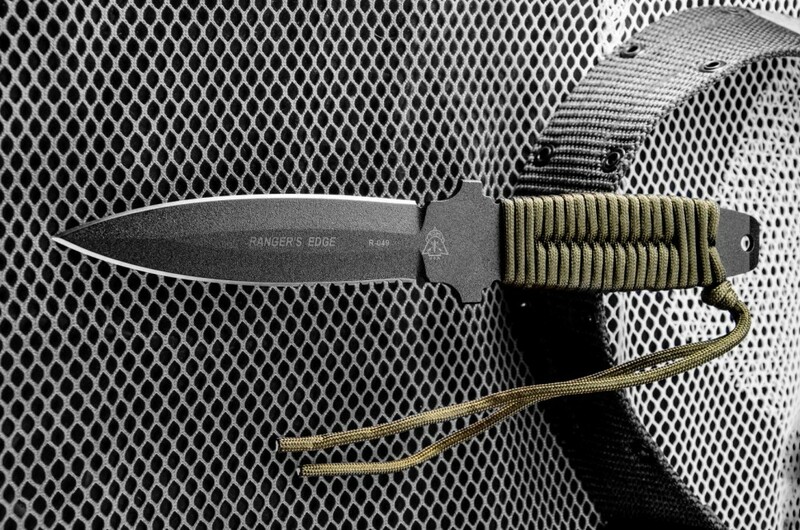 The Ranger's Edge with paracord wrap is a great tactical weapon. 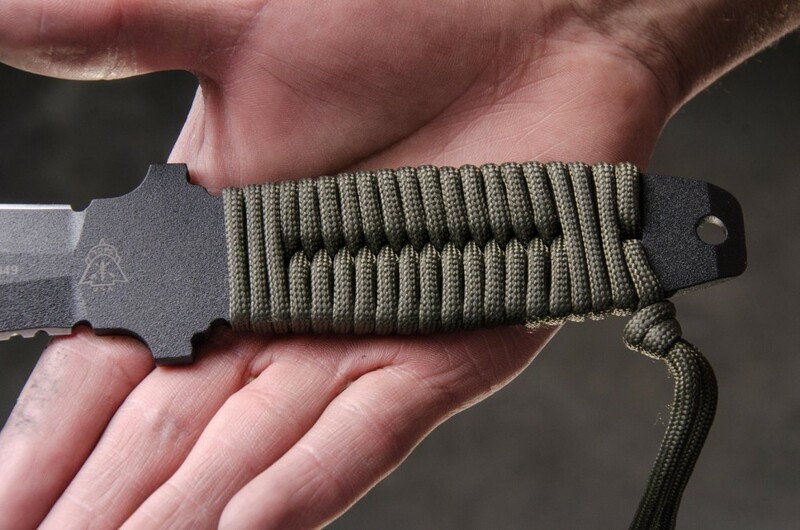 In an extreme situation, the paracord can also be taken off the knife and used for a multitude survival tasks.